Dr. Nguyen-Tran and her husband, also a physician, reside in Sugar Land with their three children. The “Tran Clan” is often found participating in any outdoor activities, church and scouting events in the community. Having delivered an average of 150 babies annually in the area since 2001, Dr. Nguyen-Tran loves the fact that she frequently runs into her patients around town along with their adorable infants or now “grown” children. 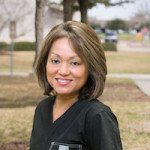 Dr. Chau Nguyen-Tran, MD, FACOG, was educated at Houston Baptist University with double majors and the University of Texas Health Science Center in San Antonio. She is board-certified. In 2011, she was awarded outstanding female physician at Memorial Hermann Sugar Land Hospital. She has served on the hospital executive committee and as chairman of the OB/PEDI department. Dr. Nguyen-Tran continues to be a member on various hospital quality and performance committees which emphasize patient care and safety. 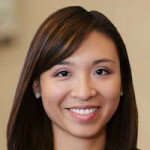 Dr. Nguyen-Tran practices obstetrics and gynecology at her office, Sugar Land Women’s Care. Her clinical interests include general obstetrics, infertility, menopause, adolescent gynecology and all aspects of female health. She performs in-office procedures, laparoscopic, and robotic surgeries. Dr. Nguyen-Tran, along with her professional staff, believes in continuity of care throughout a woman’s life, by providing current literature, treatment options and support in a compassionate environment. Educating women so that they can become more motivated to take control of attaining better health is the approach Dr. Nguyen-Tran takes with her patients. 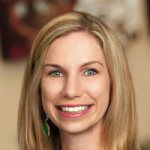 She enjoys combining her clinical expertise and academic knowledge of her specialty by actively mentoring all spectrums of students in her clinic, ranging from high school health seniors, nurse practitioners, to medical assistants.